This recipe for boiled and also fried khachapuri is from a Georgian cookery book published in 1909. This dish is rarely prepared these days as the recipe has been largely forgotten. There are several versions, including with or without cheese. The boiled khachapuri can be served with butter, sour cream or a sprinkling of cinnamon and sugar. 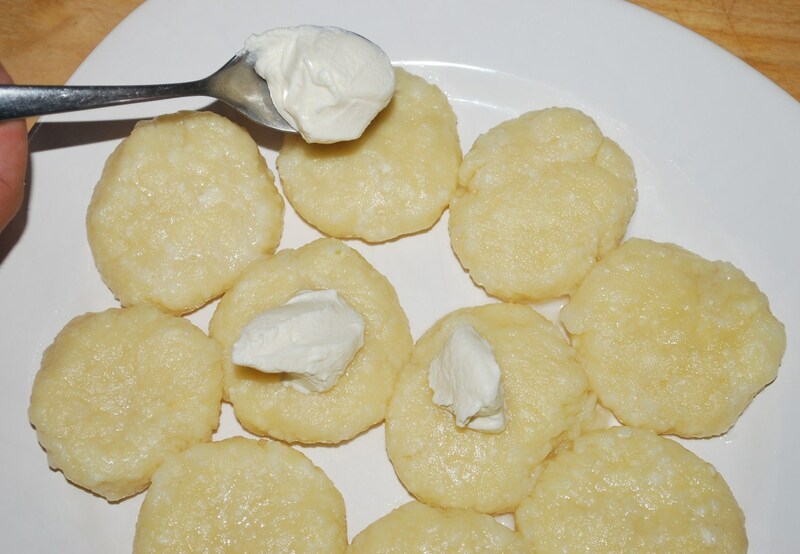 Ingredients: 200 grams of cottage cheese, 1 egg, 50 grams of butter, 100 grams of Imertian cheese (or mozzarella), 230 grams of flour (for the dough and for dusting preparation areas), 1 heaped tbs of sour cream and, salt (amount dependent upon personal preference). 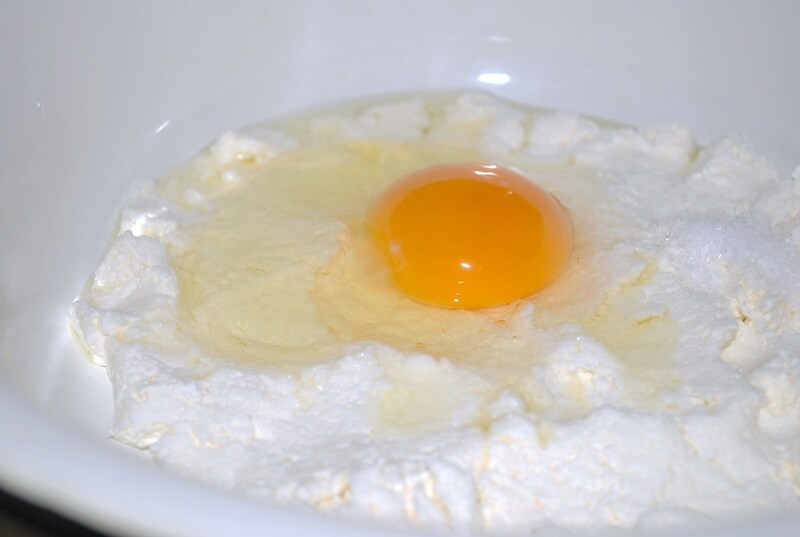 Preparation: Add 200 grams of cottage cheese and one egg to a mixing bowl. Mix thoroughly. 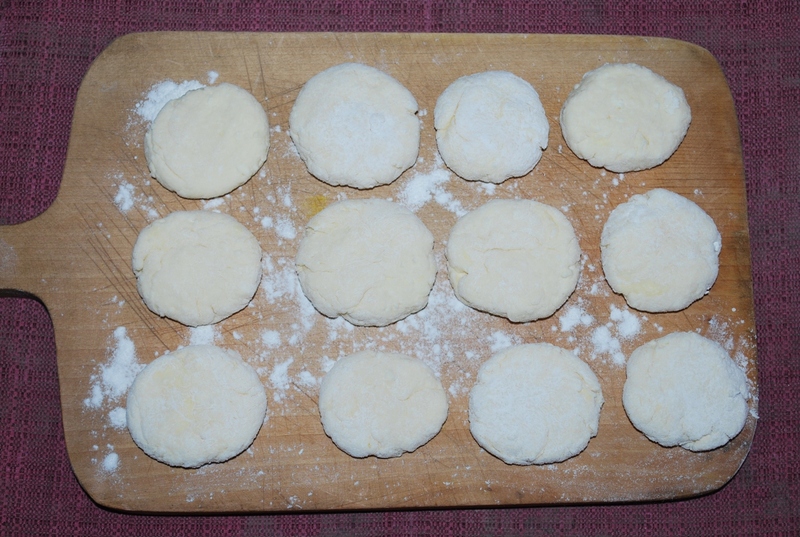 Add 100 grams of flour, together with salt (amount dependent upon personal preference). Mix thoroughly. 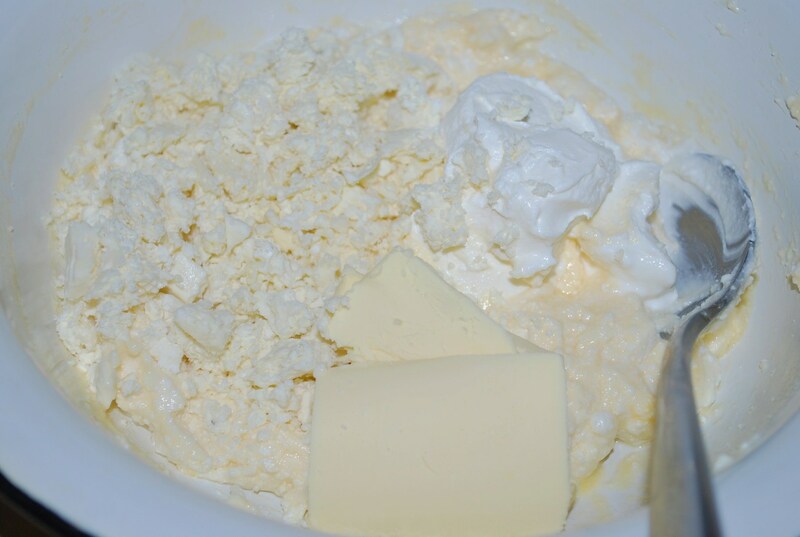 Crumble the Imeretian cheese and add to the bowl, together with 1 heaped tbs of sour cream and 30 grams of butter. Mix thoroughly. 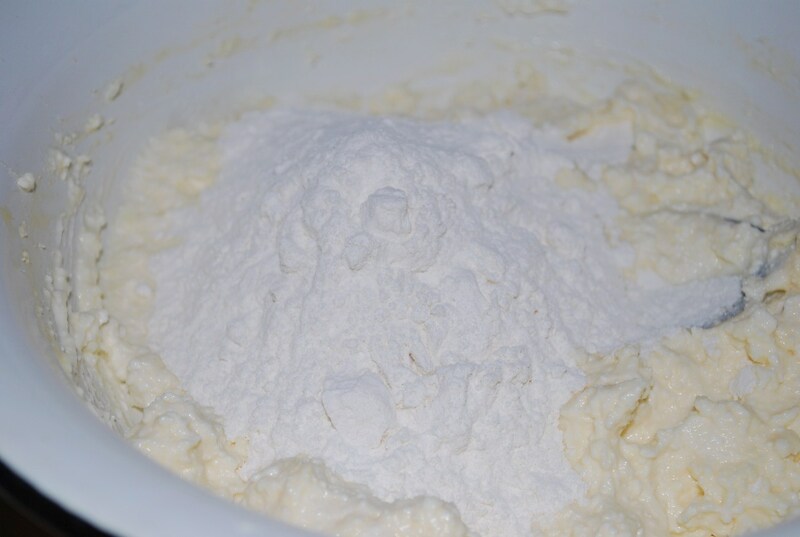 Add another 60-70 grams of flour and knead the dough, mixing in as much of the flour as you need to make the dough soft but not runny. 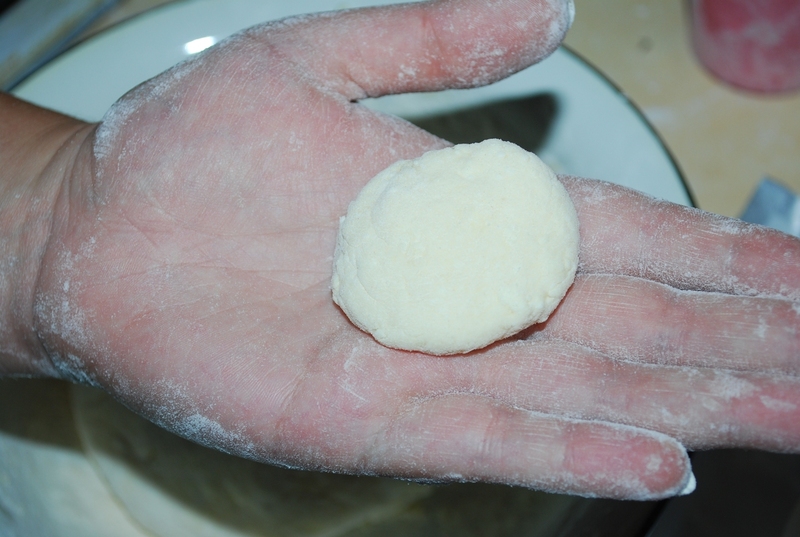 Use your hands to make individual ball shapes from the dough. Add more flour if necessary. Flatten slightly. 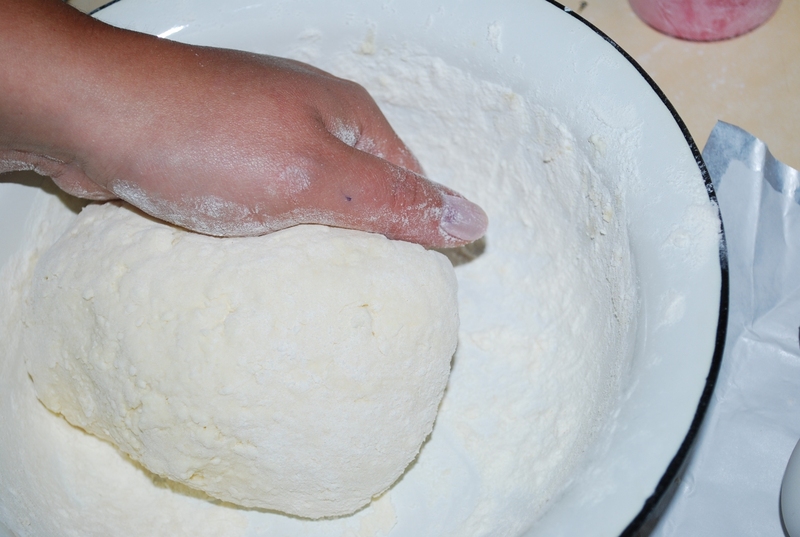 There should be sufficient dough to make 10-12 khachapuri. 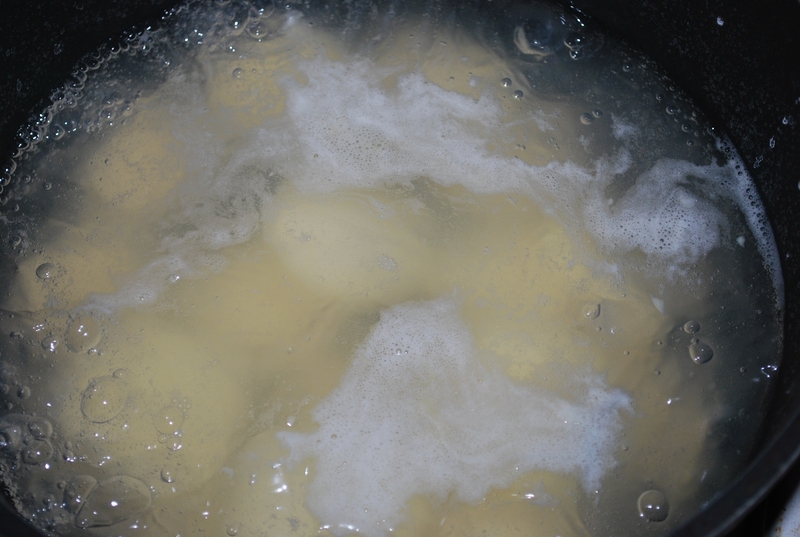 Carefully add the khachapuri to boiling, salty water. Turn the temperature down and allow the khachapuri to simmer for 5-6 minutes. Serving: Serve hot, rubbed with butter. The boiled khachapuri can also be served with sour cream. 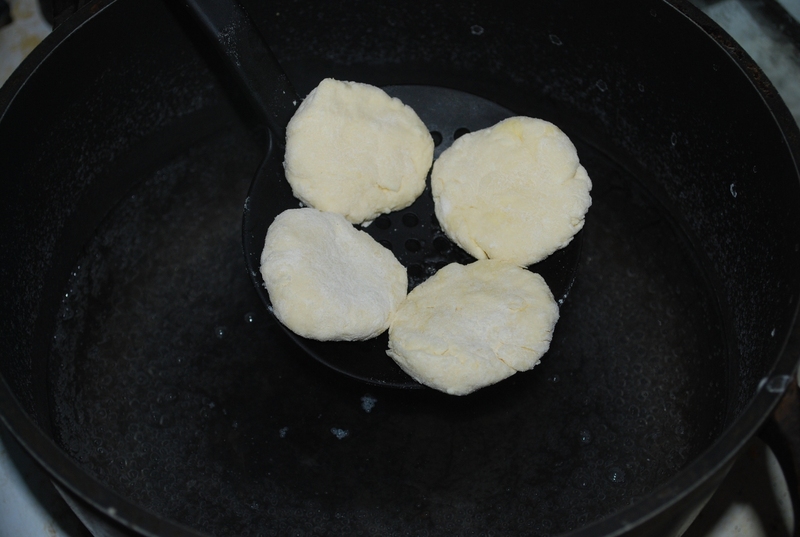 The khachapuri can also be fried after boiling. 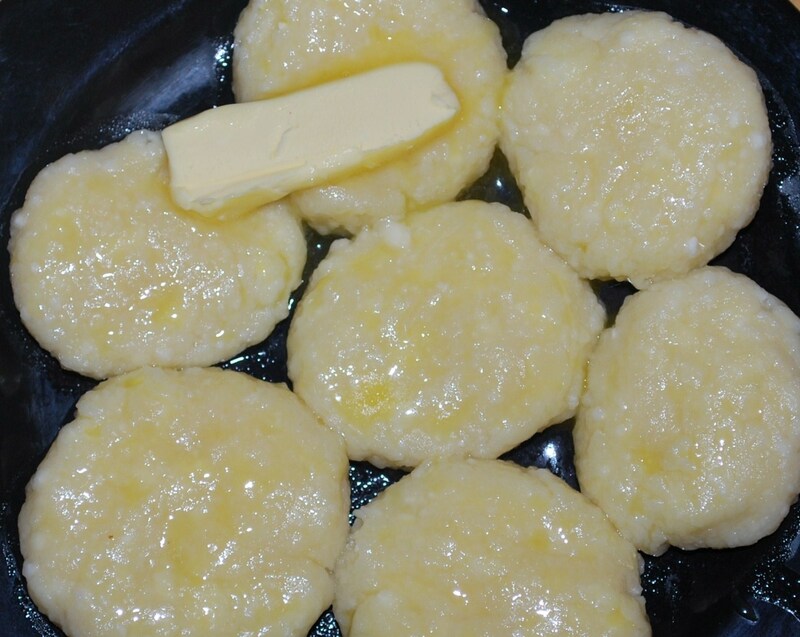 Add the boiled khachapuri to a pan containing 20 grams of butter and a little oil. Fry on both sides on a low to medium heat. Serve hot. 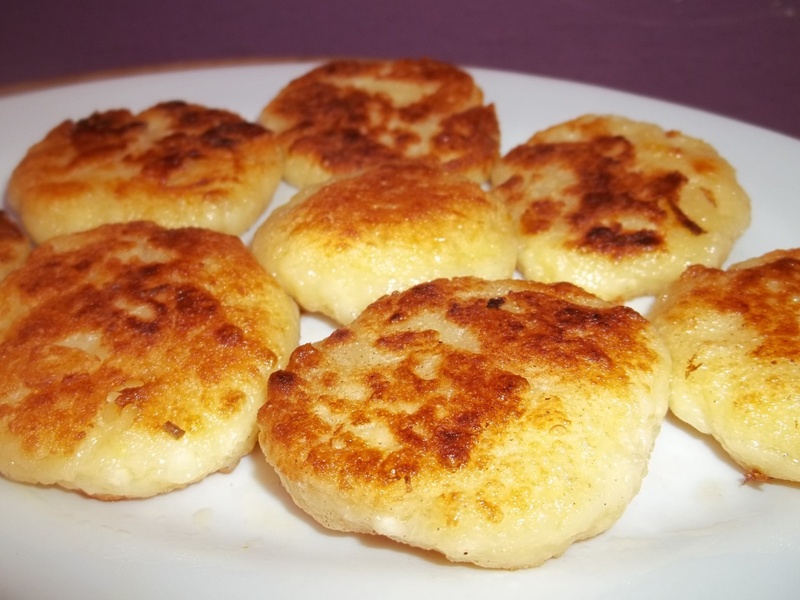 Enjoy your Khachapuri – boiled or fried! 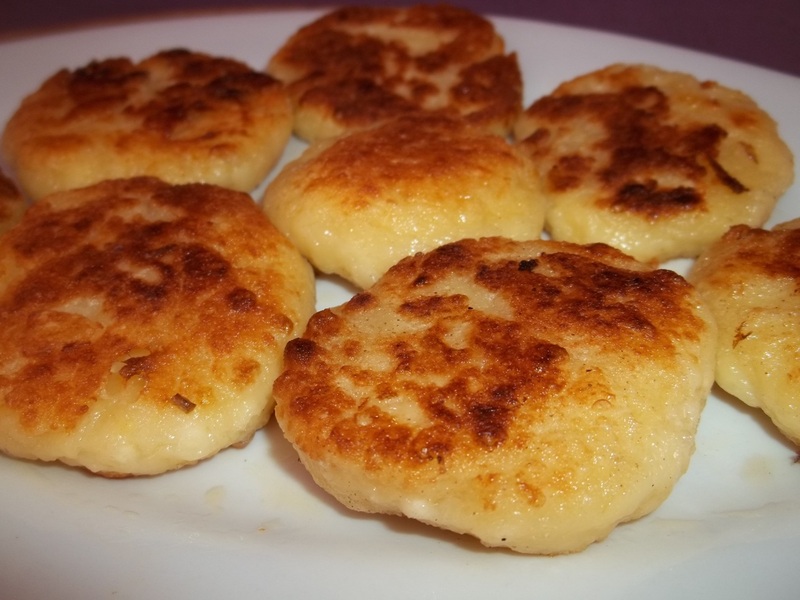 Thanks a lot for sharing this great recipe! I’ll surely try it. But i’d like to make it as much Georgian as possible. What ingredient was at the original recipe instead of cottage cheese? Matsoni or nadughi or something else? Cream is really cream in orinal recipe? Plese could you write in English the author and the title of 1909 year’ book. Is it written in Georgian?